What Payment Methods Can I use to Buy a Plan on uKit? 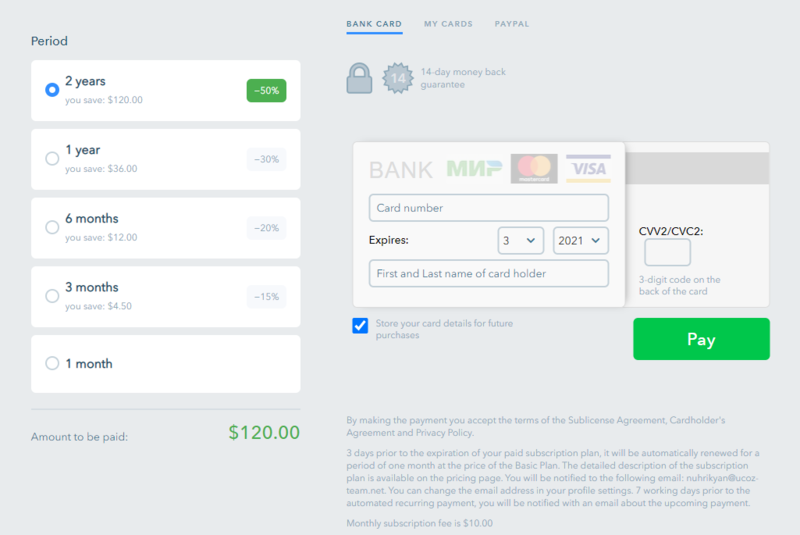 Subscription plan prices are listed in US dollars. If your card is issued in another currency, it will be charged according to your bank’s conversion rate. Didn't find a suitable payment method? Contact us! 36 people found this article helpful.